Body shaming, as a topic, is something that is lighting up the internet, it is very contentious and is a minefield to manoeuvre through. To clarify I am not in anyway aiming to make light of the issue with the name of my post. It has just literally become so worrying that someone will be upset by what you say, or a photo you put up or a joke picture. I would think it started with people feeling that larger sized or more overweight people were being shamed with all the thousands of photos of ‘how we should all look’ skinny girls. People like Karl Lagerfeld calling models including Heidi Klum too fat to walk the European runways etc, I think most rational people would agree that those who fought back were completely right to and making a positive out of others negatives is great. Then there was a whole backlash against skinny, ‘Strong Is The New Skinny’ being one of the main taglines for this. Then of course skinnier people felt they were being body shamed too and what I am sure had meant to be a positive social media campaign turned sour. I had my own experience of how vitriolic people can be with this. I tweeted a photo that had the tagline on it and asked peoples opinion, one of my Twitter followers said she didn’t think it was necessarily fair as a lot of skinny people struggle with their weight the same as overweight people do just in reverse. I entered into a discussion with her saying yes I agree as my mum found it hard to put on weight and one of my best friends is the same, but I think people of all sizes should exercise and particularly do resistance training as it is so important for your health the be as strong as you can be. Then a well known blogger, who herself is very thin, took it upon herself to basically lambaste me for being anti-skinny (which I am not) and proclaimed that no one should follow me. She had not seen most of the tweets or discussion between myself and the other tweeter and literally like a dog with a bone grabbed on viciously and would not let go, she had her own agenda and it did not matter that I had not said oh look at this ‘Strong Is The New Skinny’ isn’t that amazing. I didn’t want to get into a whole Twitter argument and left it but what she did was in essence using her power as a well known blogger to try and sway people away from my feed etc and is as negative if not more so than what she thought she was fighting against, it was internet bullying. I am super careful now what I write etc as it is an issue that people have major problems with. But I still stand by the fact that I feel everyone who can physically exercise, should. I also had a positive experience. 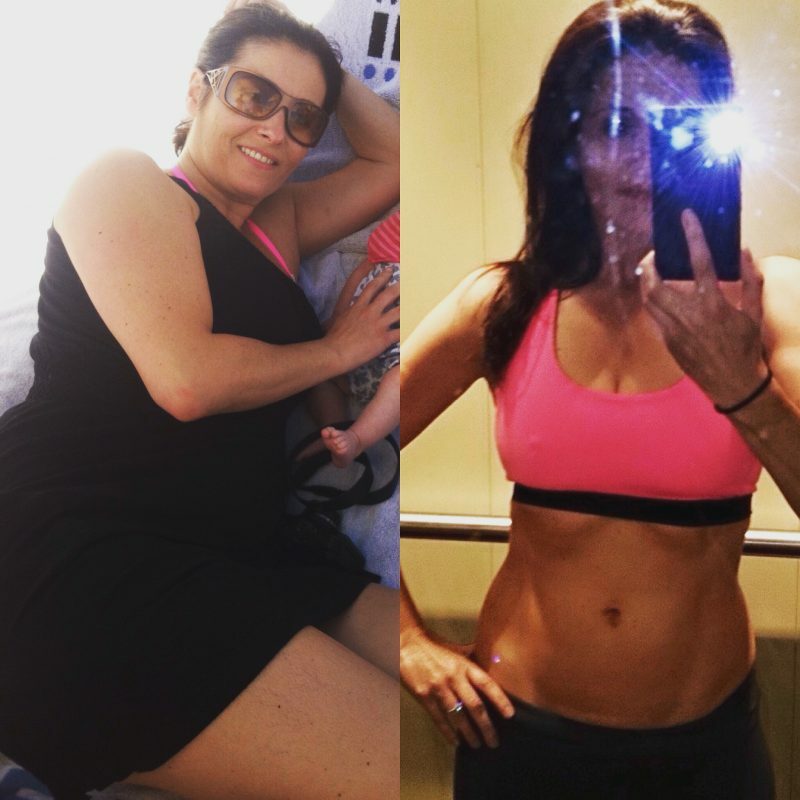 I put on weight after I had my daughter by c-section, I had worked out until just before she was born and obviously couldn’t after the surgery. I was breast feeding, I was always starving and tired and I personally found this not a nice experience for my body BUT amazing for Maya and chose to do it at the expense of getting my body back, once again breastfeeding is another massively contentious issue and I will simply say I did it, I am so happy I could do it but it is up to each and every woman to make that decision. Breastfeeding is right. Bottle feeding is right. Combined feeding is right. All choices are right and valid for the person making it. I digress so back to my positive experience. It was upsetting for me to feel that even in my line of work I simply could not just get back to myself, it took me a good 11 months to feel my body was ‘normal’ for me again. I wanted to be fit and healthy for Maya not just simply for aesthetics, although I will be completely honest and say this does matter to me too. The year after I had Maya I decided to share my experience and put up a photo of me in a bikini when Maya was 8 weeks old and then another one of me a year later just to show that I had struggled with weight but had worked out, had a healthier diet and managed to get back to feeling ok in a bikini. It took me days to put up my ‘before and after’ on social media, I was literally shaking and there were tears in my eyes when I did put it up. I was worried people would make negative comments about my post pregnancy body in a bikini, about the possibility of body shaming however, people were quite simply amazing. It was such a positive thing for me and I am very grateful to all of those who were so kind in their comments. I was also worried that people would think I was ‘shaming’ them into getting into shape. 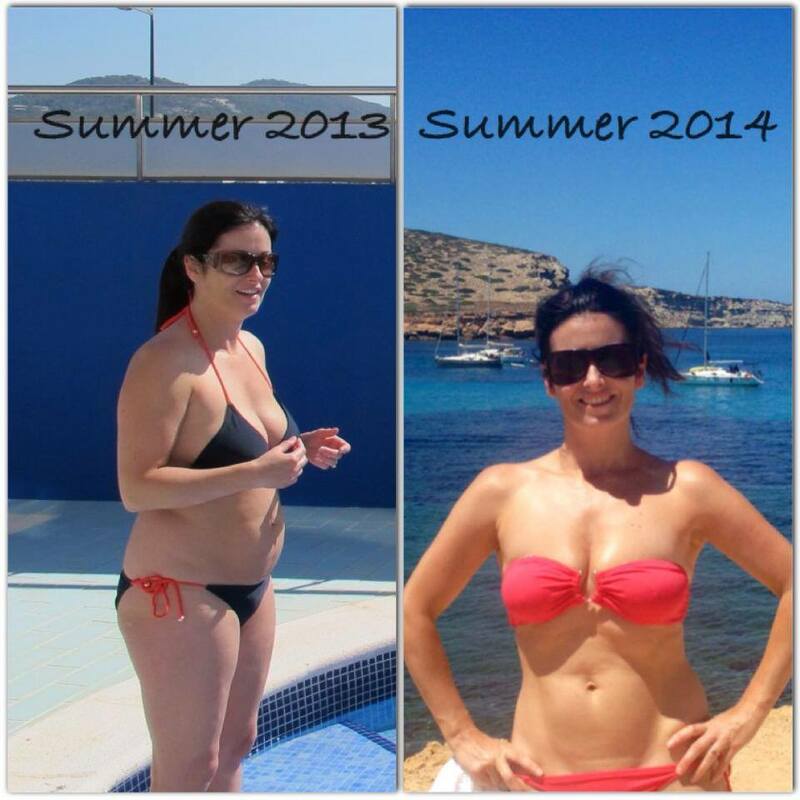 I did this to show people that for me there was no quick fix, I did not bounce back after my pregnancy and c-section. It took almost a year, for others it can take longer and for some they literally look the same a few weeks later, these are all normal experiences but personally I wanted to get back to feeling fit and healthy for my daughter so for me it was important for others it is not. I don’t mean having a toned tummy etc is paramount, but for me it is an added bonus of my fitness journey and lets me positively advertise my business www.pilatesplusdublin.com. I will continue to carefully wade through the minefield of body shaming on social media posts etc but let’s be clear how you look is important for some people. I have always been one of those people to my detriment, I experienced depression and eating disorders as a teenager. Ironically I have been my biggest and felt my best since having Maya, one thing having a daughter has done for me is make me realise that I need to be a lot nicer to myself, when I start being mean to myself I think of how I would feel if Maya treated herself that way and keep it in check. An amazing result of not beating myself up about things is that my body has responded positively to me being positive. I no longer care as much about how I look and paradoxically feel I often look better than when it was so consuming and upsetting. I see my body as something amazing now not just for how it looks but for what it does and has done, it gave life to my daughter, it let me feed and nourish her, it cuddles her when she is sick and is a place she loves to come to, it is helping me have fun running around with her, doing tumbles and jumping. It is far more than how it looks. So bodies are all different shapes and sizes, for me it is now more about how we look after them and keep them working in the best condition we can. Like our cars and everything else they need work to be their best. So whether you are tall, short, skinny, overweight, super fit or not even sure what you are once you are healthy and making healthy choices most of the time and feel happy in yourself (at least most of the time) that is you looking after yourself and you should never feel or be shamed.